When it comes to finding the lowest fares, we put our money where our mouth is! In fact, if a traveler and/or arranger finds a fare for the same flight, itinerary and cabin that's more than $10 lower than what Ovation issued, we'll make up the difference. 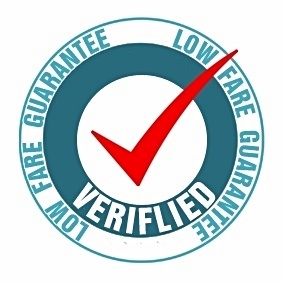 Through a proven combination of proprietary software and technological tools, Ovation's 7-Step Verified Fare Check secures the lowest fare every time. From GDS and Web fare searches to automated low fare searching software and travel consultant expertise and waivers and favors, we guarantee we'll find you the lowest fare or we'll refund the difference.